We are going to start from the basic premise that you have built - or are currently building - a website for your client business. Your role is to implement all your client's multitude of requirements, among which, these days, will inevitably be some kind of reviews solution. But here's the catch - just exactly which reviews solution? There are now upwards of two hundred separate and distinct reviews sites with English as their host language - some, like Yelp, are generalist (anyone can review any business) and others - TripAdvisor is a good example - are specific (to a type of business, in this case hospitality: hotels, restaurants and leisure businesses). On top of this, some are compliant with US law, some are compliant with EU law, and some (only 'some' you may be surprised to hear) are complaint with UK law. Sometimes it seems that the choice is made for your client, and therefore for you - after all what hotel does not want to feature on TripAdvisor? But then what about Booking.com, Trivago and Hotels.com, to name but three more? The answer to the 'choice' issue is really quite simple, at least at first: It has to be to get the business's customers to write those reviews to the business, so the business owns those reviews. Not to some external reviews site, however attractive the blandishments and promises made by the representatives of those sites. why? because reviews sites come and go (Yelp - the biggest of them all, left the UK nearly two years ago), and wax and wane in popularity, so you don't want to put your client in a position where they have accumulated hundreds of reviews on a particular site and then lose them all when that site is no longer flavour of the month with Google because they are owned by the site, not your client. For anyone doubting the importance of this, we have seen more than one business that has chopped and changed reviews solutions more than five times. Next? To get those reviews to the sites that matter to those businesses and their customers. This, again, requires an objective judgement on behalf of the business and that is why HelpHound exists, to help those businesses and their advisers - you, their web designers - to decide what solution is going to work best in their long-term interests. No-one can predict the future, but that does not mean we should not (or are not able to) make rational decisions based on a highly educated guess: and that means, for the overwhelming majority of businesses: Google. 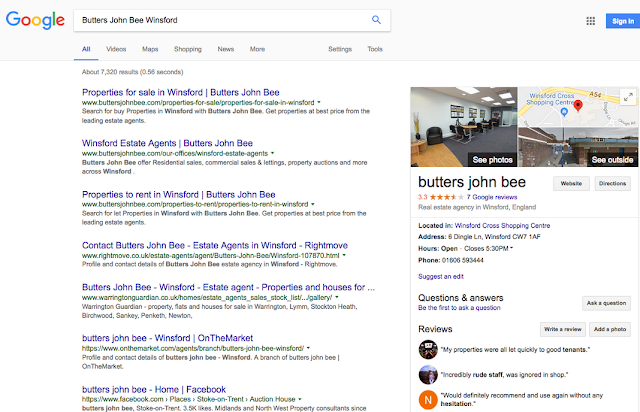 The reason we see so many businesses fighting against Google reviews is simple: because Google came so late to the reviews game, after many reviews sites had established themselves and those businesses are now seeing their markets being eroded by Google. That may not be fair, but we live in a free market and harsh commercial realities dictate that businesses should choose what is best for them, and to do that they should not find themselves, wittingly or unwittingly, adopting a solution that is against their own long-term best interests. This advertisement was published last week and we repeat it here, analysed paragraph by paragraph, so you can make your own judgement. 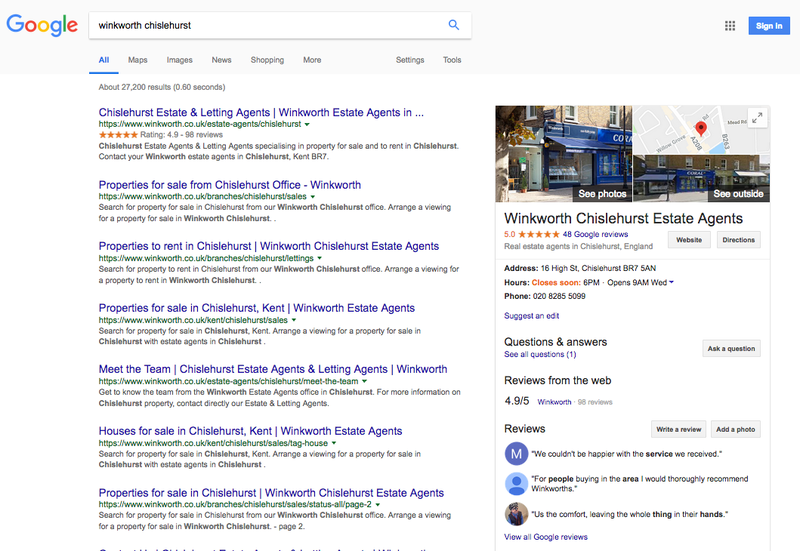 It is estimated that two out of three adult consumers in the UK are currently able to leave a Google review by simply clicking on 'Rate and review' on any device, having simply searched for the business in question. They don't have to find out which reviews site is most appropriate or, indeed, which reviews site the business in question has contracted to 'manage' their reviews. Not quite. Most consumers who have any type of Google account (and there are many, from Gmail to YouTube to Google Plus) are permanently logged in on all their devices. Again: it's simply a matter or 'click and post'. Just see any business in any search - the likelihood of finding a business as yet un-reviewed on Google is becoming remoter all the time. And something is also more certain by the day: that Google is the review mechanism of choice for those whose experience of a business is less than satisfactory. Stories of reviews being 'manipulated' are to be found across the web (and have been for as long as reviews have existed, but interestingly, almost always confined to the independent reviews sites, not Google). Yelp? Yes. TripAdvisor? The Times has even created a fake hotel to demonstrate how easily manipulated it can be. 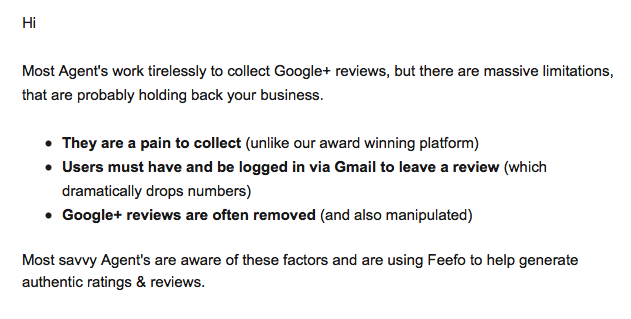 The key with Google - nowadays - is that every review is attached to a Google+ account which is, in turn, attached to a person (or a business). We have been in the review arena for over a decade and we can honestly say that Google reviews are the least manipulated of all (and therefore the most credible). 'Removed'? We are unsure what Feefo mean by this. We have seen little or no evidence of Google reviews being 'removed' whereas some of the independent sites - not Feefo - appear to bend over backwards to 'suspend' or otherwise hide reviews that their business clients find objectionable. There is also another issue with the reviews sites, many (but not all) of which originate in the USA or Europe, and that is that some of them fail to comply with UK government regulations (see 'Important P.S.' at the end of this article), often not in minor ways, but at the core of their business models. They are 'business friendly' - they sometimes offer benefits to their business customers such as the ability to challenge negative reviews or choose the time the customer is invited to write the review (both of these 'benefits' contravene the core CMA regulations). There are more 'creative' ways of 'manipulating' reviews - one of the main ones being the timing of the invitation (and the control of the actual ability to write the review - what we christened 'closed' sites some years ago). The last phrase we might question is 'authentic ratings and reviews'. 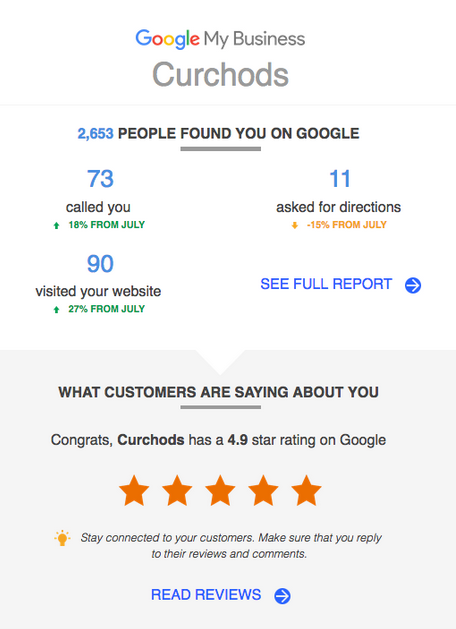 Quite what may be 'inauthentic' about Google review by comparison with any others we are not sure. 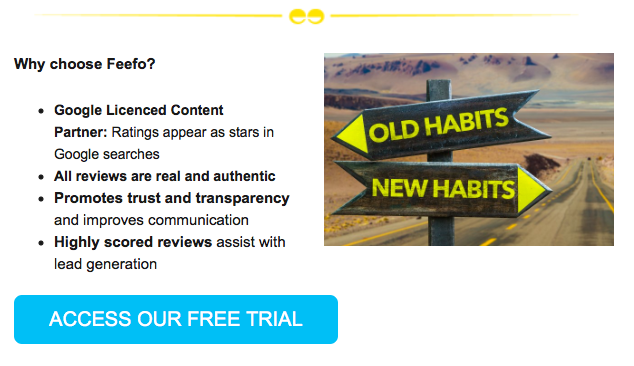 'Old Habits/New Habits' - we assume this graphic is meant to mean that 'old habits' are Google reviews and 'new habits' are the independent reviews site. 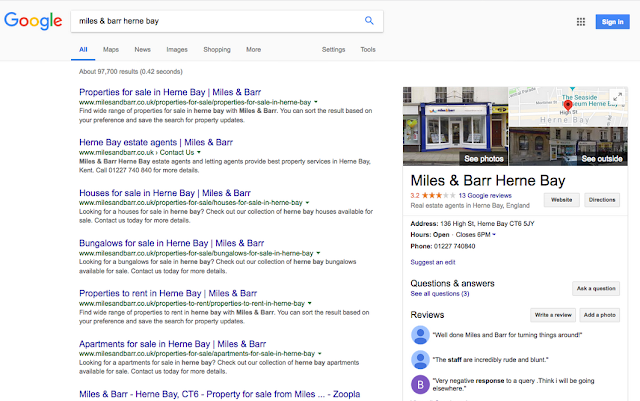 We strongly recommend that any business that has got into the 'habit' of inviting Google reviews stick with that habit - it is sure to reward them in the short, medium and long term. At the end of the day, whatever strategy a business adopts it must all come down to results. 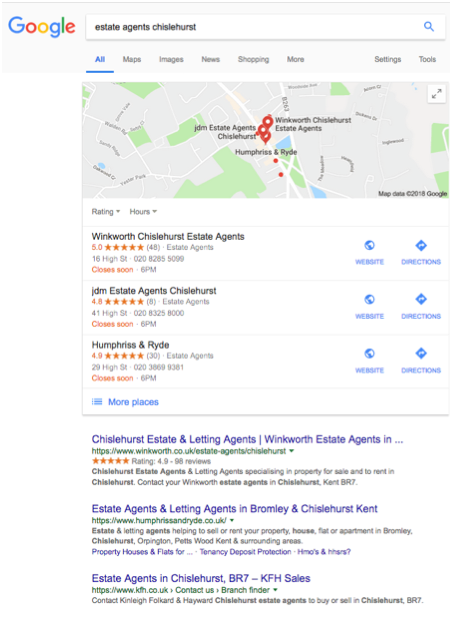 And by 'results' we don't mean star ratings or scores (although these are all useful 'extras' - you can see them in the screenshots of our client's Google searches below) and are especially good for staff morale - who doesn't like to see their employer's name lit up in stars?) 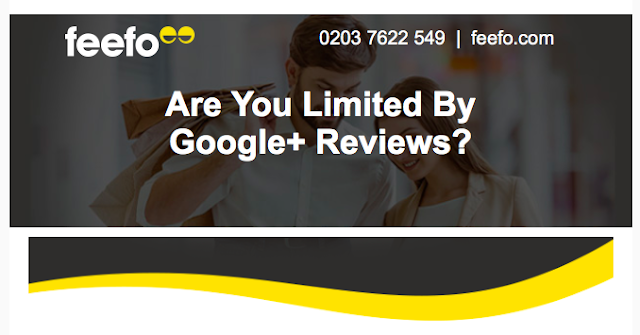 or numbers of reviews (although, again, a business scoring 4.7 on Google with reviews in three figures will always attract more business than one with a lower score and a lower amount of reviews), we mean financial results. Let us be plain about this: professional review management should be measured by the cash it encourages to flow through the doors of your client's business. And if they cannot attribute the precise £p they should at least be able to measure the uplift in indicators that lead directly to that cash flow, such as phone calls, emails and visits to their website (all, with the exception of emails - which they can identify themselves - measured by their Google My Business (GMB) report. With 81 reviews on Google and just ten on the reviews site, we are taking an educated guess that this branch is asking their customers to post their reviews direct to Google - especially as their score is so much better there as well. 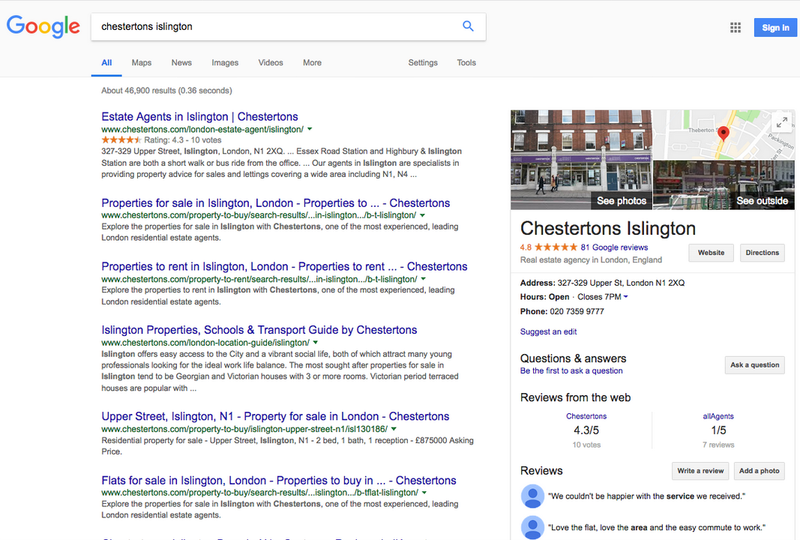 Again: a low Google score leading to a Google Filter fail (and a nasty rich snippet). No reference to independent reviews/star ratings in either organic search listings or 'Reviews from the web'. 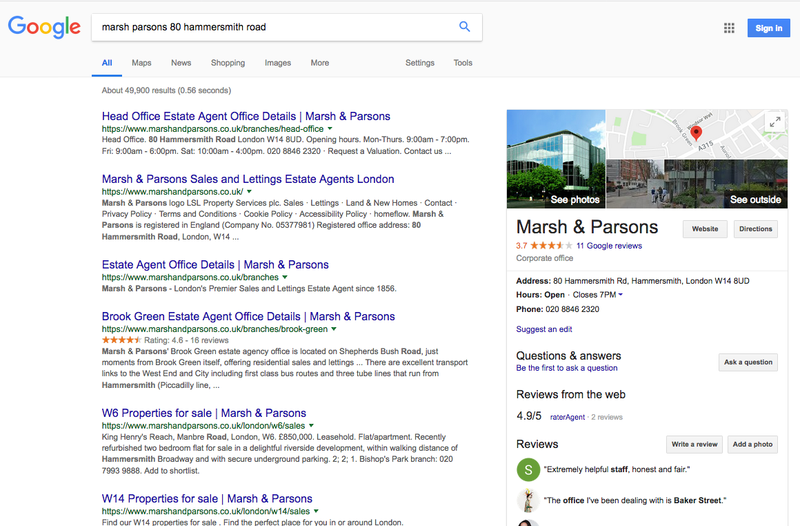 96 reviews on their own site showing in organic search with a star rating as well as in 'Reviews from the web' in the knowledge panel. Three great rich snippets. And a great Google score with 48 reviews there as well. Not a bad position in the Google 3-pack (we can't take all the credit for that!) and reviews and star rating in organic search as well. You are looking for a reviews solution for your clients that you can recommend in the knowledge that it incorporates flexibility and some element of future-proofing. That is going to produce results, from day one and for the foreseeable future - in short: a solution that your clients will be grateful that you recommended. The only thing we have not touched on - intentionally - is tech. Suffice to say that we will give you the tools to deliver these results on any kind of platform. They may not have some of the clever 'knobs and whistles' that the reviews sites incorporate, but they will deliver the core results your clients need - we promise that. And we are always pleased to put you in touch with them so they can personally confirm that is the case - just ask. All this along with compliance with the CMA regulations. We know that you, as web designers, are not directly responsible for your client business's compliance with those regulations, but we are sure you will feel happier knowing you are implementing a compliant solution. There is much more detail about this here, but in short: your client must be able to demonstrate that they allow all their customers to write a review at a time of their own choosing. Any reviews mechanism that does not allow these two simple things is, by definition, in breach and so is any company that adopts it. Why break the rules - when there's no need? Congratulations to Greene & Co! Stars in search - the holy grail of reviews? Reviews - pity the consumer! Why pay commission - when there is a better way? Reviews rescue Paris taxi drivers - so what?